Union Grove Saw & Knife, founded in 1983 by Ed Bissell with the intent to become a regional tool company known for its service and quality saw products, today serves over 500 customers, including its original ten accounts. The company gladly shares that it is known for its competitive pricing and high standard of workmanship and quality products. Its goal is to form long-term partnering relationships with its customers who seek to gain a competitive advantage thru better management of their cutting tool resources. Union Grove Saw & Knife says it is committed to helping customers achieve better management and efficiency of their tooling which results in a lower total cost of ownership and utilization. The company is offering more complex cutting tools and solutions with the installation of more advanced production equipment. It says that it began working with new suppliers and industry leading experts on the development of carbide grades, saw blade geometries, and other tooling enhancements dedicated to providing more value to its customer base. To insure its long-term success, Union Grove is making significant changes in 2016. The company has installed a large selection of highly specialized equipment in its Union Grove facility because of a partnership created by Ed Bissell and Anthony DeHart, both individuals with extensive experience in the cutting tool industry. Bissell has a passion for the production environment and quality control, while DeHart enjoys helping customers and brings a strong sense of front office skills to the table. This new company now has over 125 pieces of specialized equipment, all dedicated to servicing cutting tools. The company indicates that it is now fully equipped to handle the secondary woodworking industry just as effectively as it has serviced the primary markets in recent years. Union Grove Saw & Knife has expanded its ability to provide indexable carbide insert knives, both new and replacement, to the overall market. It offers insert knives in multiple carbide grade configurations and has coating capabilities where some improvements have been shown to be very effective. Union Grove offers carbide insert knives for all standard applications, ICK knives and planer knives for all standard tool bodies. Union Grove Saw & Knife lists its strengths to include consistently reliable delivery, technical support and training, development of application specific cutting tools refined to individual production requirements, and total lower cost of ownership. For additional information on Union Grove’s products and services, call 828/217-3739 or email Anthony@sawandknife.com. Visit its web site at www.sawandknife.com. White & Company LLC, a consulting and software development firm, has recently released versions 3.2 of Best Pallet™ pallet design/analysis software and Best Load™ supply chain simulation software. Now users have the ability to load any shipping mode with mixed sized empty pallet stacks and mixed unit load SKUs for LTL and MTL shipping efficiency. No more calculations by hand to determine how many of each pallet or unit load size will fit in a designated shipper. The chosen designs will automatically be arranged to maximize space utilization and the area of any void space will be computed for load bracing materials. Looking for a way to enhance recycling productivity and reduce worker strain and injury concerns? Universal Machinery Sales is introducing a fully adjustable pallet lifting attachment for the versatile line of vacuum tube lifters it offers. These devices allow one person to effortlessly handle pallets for sortation and repair operations. The VT-PLA pallet lifting attachments enable one person to safely and easily lift and move pa pallet without bending, stretching or straining. Featuring a quick-release mount, the attachment can be easily swapped out with the full range of vacuum pad that are available to handle boxes, pails and a wide variety of other items. Fully adjustable for handling standards 48 inch sq. and other pallets, the VT-PLA attachment is made of durable extruded aluminum and replaces a manipulator at a fraction of the cost. Providing a 10% duty cycle and a special valve which creates an air tight seal when the load is attached, this lifter operates with an overhead crane system. The VT-PLA lift attachment can allow one person to also lift and stack multiple pallets using the vacuum up/down controls. This attachment provides faster handling than a hoist-based system or two people stacking. It also is interchangeable with a wide variety of adjustable quick-connect vacuum pad attachments. Equipped with built-in controls in the handle, a vacuum gauge and a 360 degree swivel top for unrestricted rotation, the lifter has a 100% duty cycle for instantaneous starts and stops. Use this lifting system to reduce worker strain and injury and increase productivity, for more information, call Mona Tracy at 855/298-8890 or visit www.universalmachinerysales.net. The PRS Group proudly talked about its 25th anniversary newly redesigned Optimax trim saw at the recent EXPO Richmond. Called the model OM-3, this single end-trim saw has variable speed feed and comes standard with four length stops. It cuts material up to 2” thick at a rate of 3,000 boards per hour. The redesigned Optimax OM-3 trim-saw has a 7.5 hp saw motor and a 1 hp feed motor. For more information on the new OM-3 trim-saw or the other PRS trim-saws visit PRS’s website at www.prsgroupinc.com or call 866/546-8864. D&M Steel is introducing its new crane mat drill to the industry. Crane mats have been a growing market that competes on the low-grade lumber market. Seeing the need for a crane mat drill, D&M Steel has released its low cost, low maintenance, hydraulically powered drill for building mats. It is advertised as being fast with two employees easily building 30+ mats in a shift. It is designed to be efficient to both drill and counter bore in one pass. D&M says it’s economically priced, starting at only $32,000. For more information, call D&M Steel at 618/231-1595 or 618/927-4974. Ever since the introduction of thin-kerf bandsawing in the 1980s and its growth in the 1990s, our industry has worked to reduce or hopefully eliminate the fine sawdust that was causing an issue on pallets. Oak Lake Machine, a new entry in the pallet machinery arena, is now introducing its OLM-800 deduster. It is designed to dedust boards from one, two, four, or six-head band resawing systems. Oak Lane lists a number of features to its new deduster, including variable speed from 250-800 linear feet per minute, an hydraulic actuated bump gate, five hp 3-phase motors on brushes, a 10 hp three-phase hydraulic pack, and hydraulic forward and reverse feed. It reportedly adjusts to thickness changes in less than five minutes. It is U.S. manufactured using dodge bearings and American workmanship. Its standard material length is five feet with an option of up to ten feet. For more details call Oak Lane Machine at 989/826-2181. The Smetco single head True-Cut notcher has been a proven machine for years as a rugged and dependable notcher. Smetco now provides a powered carriage option that allows for increased safety as well as a slight increase in production, while reducing the fatigue from manually moving the carriage over the cutters. The operator loads the carriage with up to three 2x4s and then depresses the two push buttons on the pedestal next to the machine. The wood is clamped and the carriage extends over the cutters and returns and unclamps in a couple of seconds. The operator slides the wood over and repeats the process. For more information, call Smetco at 800/253-5400 or visit Smetco’s web site at www.smetco.com. The new Titan trommel screen from West Salem Machinery (WSM) is an ultra-heavy-duty rotary drum screen specifically designed and manufactured for severe duty screening applications requiring high throughput and reliable long term operation. It is available in drum sizes of 6 ft., 8 ft., and 10 ft. diameters with lengths from 25 ft. to 63 ft. long. The Titan trommel is a “revolution” in trommel design and construction with design features and build quality that delivers exceptional performance and reliable long term operation. What makes the WSM Titan trommel different? Precision manufactured trunnion rings with heavy duty raised steel rings that are machined and include integrated lifter attachments – providing superior drum integrity and concentricity. It has a massive steel support frame with machined mounting pads and laser-aligned trunnion wheel mounts. This allows long drum lengths with consistent distribution of loading. The Titan trommel is modular and has interchangeable dual trunnion wheel mounts with self-adjusting pivot point to handle shock loading and allow for easy access and maintenance. It comes with simple modular cleaning brushes with external adjustment for improved screening efficiency. A modular screen design for use of wire mesh or perforated plate screens allows multiple screening zones and quick screen changes. WSM indicates its Titan trommel is truly a “revolution” in design and construction. Find out more at www.westsalem.com. Contact WSM directly at 800/722-3530, or by email at info@westsalem.com. Cooper Machine Company in Wadley, Georgia has been building sawmill equipment for the pallet industry for decades. Cooper Machine has specialized in designing and building scragg mills for cutting low-grade logs into pallet stock. Cooper is excited to announce that it is expanding its offerings to represent several pieces of MIT pallet machinery. In addition Cooper is also offering a variety of MIT heavy duty resaws with bands from 1” to 12”. The three pieces of MIT pallet machinery that Cooper now provides to the pallet industry include a carousel block cutter to cut blocks for block pallets, a chamfering machine to chamfer and stack pallet decking, and a pallet trimmer. Cooper’s carousel block cutter has ten clamping stations to make blocks. For cants up to five inches the manual regulation cutting head comes with digital measure. Block height can be adjusted from two inches up to eight inches. The block cutter comes with a 7.5 WEG head saw motor, a belt conveyor for outputting blocks, and a power and control panel. Cooper says that it can cut up to 90 blocks a minute. The MIT chamfering machine functions with a manual lumber infeed onto the cartridge. The head has double cutters to chamfer the decking and is able to chamfer up to 25 boards a minute. It automatically stacks the lumber after chamfering. Multi-head trim saws are popular in pallet manufacturing plants. The MIT multi-head trim saw models have from four to six sawing heads. They include a special flat 7.5 hp WEG motor on each head with mobile heads and band brakes for all heads. The saw comes with two lines of 81X chain with dogs and VDF for variable speed. For more information from Cooper Machine on these three new machines, call 478/252-5885 or email info@coopermachine.com. Visit their web site at www.coopermachine.com. Go Fast has supplied machinery for the pallet industry for a number of years, but its growth into an expanded line of products seems to have grown. At first Go Fast was known to us for its deduster, but it has grown to feature a much wider spectrum of products. This partial list includes many of Go Fast’s machines with a few details of each. The Go Fast dedusters feature a hydraulic driven board knocker to prevent jams, variable speed up to 700 feet per minute, a board thickness feature in under 60 seconds, and a side deburring brush option. Go Fast resaws have a powered belt return, quick air tension system, heavy duty arbor bearings, an enclosed hydraulic pack, and add band heads. Go Fast double-end trim saws come standard with 20” blades standard, variable infeed chain speed, precision laser guides, a turn of the handle adjustment for length of cut, and inclined waste conveyor options. Go Fast chopsaws come standard with 24” carbide blades, 6x10 capacity, 7-1/2 hp motor, and both manual and automated models. Options include 26” blades and 10 hp motors. Go Fast grade systems come standard with 16”x16”x16’capacity, 30 hp grade resaw, 30” bandwheels, computer control setworks, saw position digital display, and heavy-duty frame. Go Fast stacking racks comes with strap channels forklift access, casters, and custom sizes. For more information, call 800/854-7439 or access www.gofastmfg.com. The new Key Knife chipper package lets Rotochopper owners diversify into chip markets without the hassle of a typical chipper conversion package. The Key Knife package allows horizontal grinder owners to chip and grind with a single machine. The chipper knife package is a bolt-in option that works with the same patented replaceable mount rotor for the Rotochopper B-66 and B-66 E. This chipper knife system makes it simple to diversify into chipping applications without a complex conversion kit or a second machine. "Unlike other grinder to chipper conversion packages, the Rotochopper Key Knife System is simple, reliable and adds more flexibility to our B-66,” said Steve Marks of Marks Lumber in Clancy, Montana. To switch from grinding to chipping, the operator does not need to swap the whole rotor drum or assemble a complex overlay onto the grinding rotor— the operator simply swaps the grinder tooth mounts with chipper knife mounts. This system utilizes patented Key Knife® technology to minimize knife replacement costs. Key Knife shipping inserts are indexable (reversible). By simply loosening the knife clamp bolts, the operator can flip the knife to utilize a second chipping edge. A Key Knife insert uses significantly less steel than a traditional chipper knife , making handling and replacement easier. The chipper blade on each mount is much narrower than traditional chipper knifes, helping to minimize the maintenance costs that can result from rocks, metal, and other contaminants. For more information call Rotochopper at 320/548-3586 or visit www.rotochopper.com. The pallet industry can use Iron Bull self-dumping hoppers to assist in its materials handling requirements. They can be used to handle shavings, wood chunks, and cut stock parts. Iron Bull has focused on engineering its material handling hoppers for maximum ease and efficiency of operation. Iron Bull self-dumping hoppers are available in up to 10 yard capacities. Open-ended slab wood hoppers are designed for fast, efficient and safe handling of sawmill and pallet shop waste. A forklift driver can dump waste without leaving his forklift seat because of the automatic dump-from-seat option. With Iron Bull’s new EZ-load fire wood hopper, almost any operator is said to be able to load a pickup without sending firewood pieces flying. For more information, call Iron Bull at 765/597-2480. Designed for anyone looking to cut to size new or reclaimed lumber, the new Universal Machinery Sales hopper-fed double end trim saw eliminates constant monitoring of a hand-fed machine. It features two 10” blades and can come with a 12” blade option. The machine has a 5hp motor on each blade and a 1hp motor on feed drive. See the video online at https://www.youtube.com/watch?v=SNOOPFeR_-0. PRS Group Inc. continues to develop innovative products that help boost the productivity of pallet operations. PRS has recently introduced the NAIL IT pallet assembly jigs. These economical, simple and productive nailing fixtures add flexibility and ergonomics to hand nailing pallets. NAIL IT pallet assembly jigs produce pallets from 24” x 24” up to 52” x 52” with quick and easy changeover. Seeking to revolutionize sawdust removal for sawing operations, Wood-Mizer LLC has released its groundbreaking Vortex™ sawdust-removal bandsaw blade. Available now in North America, this blade is engineered for lumber and pallet producers who need boards to be as free from excess sawdust as possible. lumber is processed. According to Wood-Mizer, this extremely unique blade profile has generated positive results in highproduction pallet factory tests. The Wood-Mizer Vortex™ blade is now available to order in .042 x 1 ¼ at any length. Call 800-522-5760 or visit www.woodmizer.com/vortex for more information. In addition, two long-term employees have been promoted. Brenda Norman has been with Mid Continent for over eight years and has over 30 years of sales and management experience. She has been promoted to the inside sales manager for industrial fasteners and will still handle customer service representative coordination as well. Finally, a well-known member of the sales team, Marsha Libla has been promoted to U.S. sales logistics/customer service manager for the parent company, Mid Continent Steel & Wire. She will continue working out of our Poplar Bluff, Missouri office and will take on additional responsibilities of developing customer service departments for the other divisions of Mid Continent Steel & Wire. Libla also will maintain her current role as customer service manager for Mid Continent Nail. All of these change are designed to help the company improve its sales and outreach to the industrial market. For more information on Mid Continent Nail, call 800-TOP-NAIL or visit www.magnumfasteners.com. Pallet Repair Systems Group (PRS) is proudly announcing its newest product offering for pallet sortation. This new Work-Saver Sort System is a good ergonomic solution for lower to medium volume pallet sorting requirements. The Work-Saver is a single operator system that handles heavy pallets of virtually any design. It eliminates the physical demands on an operator of handling heavy pallets. It uses an air suction design to lift pallets so an operator can inspect each pallet and determine what kind of repairs are needed, as well as making grading decisions. The Work-Saver offers a much lower cost option to higher volume sortation systems. The air suction concept is not a totally new option to the market, but it expands the sortation options available from PRS. The Work-Saver is available in several sizes: 15’x10’, 20’x15’, 25’x15’, and 25’x20’. It can be designed for systems ranging from 2 to 10 pallet grades. It requires very little maintenance. Call Jeff Williams or Bob Coplea at PRS to discuss your sortation requirements and the options they offer to help you become more efficient. They can provide layout drawing and quotation options. Call 866-546-8864 or email ckaufmann@prsgroupinc.com. If you are looking for top quality bandsaw blades at competitive prices, Union Grove Saw & Knife wants a chance to earn your business. And the company has developed a new relationship with Metamob, a leading European bandsaw producer, to service the U.S. market. According to Union Grove, Metamob has built a strong reputation in Europe for quality blades. From small bands for pallet lumber processing to wide bands for industrial sawmills, Metamob offers a wide variety of standard and premium blades; including blades especially suited for pallet dismantiling operations and sawmills. Metamob has just opened a new facility in Satu Mare, Romania combining production and commercial activities under one roof. The new facility with 50,000 square feet of space houses new production equipment from Iseli capable of meeting increased demands from the U.S. market. Earlier this year Metamob formally announced an exclusive distribution agreement with Union Grove Saw & Knife. Under the terms of this agreement, Union Grove handles all sales and service of bandsaw blades produced by Metamob in the U.S.
“Union Grove recognizes that in order to provide customers with the highest possible product quality for every cutting application, unique partnerships with world-class producers have to be established. This relationship with Metamob exemplifies this type of partnering relationship,” stated Anthony DeHart, director of Union Grove Saw & Knife. Istvan Hutton co-founded Metamob in 1994 to meet demand for woodworking tools in their local markets. In 1997 the company started producing various configurations of high quality bandsaw and frame saw blades at competitive prices. Professional sharpening services followed in the same year. Today production is focused on the niche market of wide and narrow bandsaw blades for the pallet, portable mill and primary sawmill industries. Union Grove Saw and Knife, Inc. was founded in 1983 by Ed Bissell. Today, it services over 300 customers. The company still services and maintains its original ten accounts. In 2016 a new management team was established with Anthony DeHart leading all expansion efforts. Union Grove has built a reputation for being competitively priced while delivering a consistently high standard of workmanship and quality products, and maintaining timely deliveries in the ever changing market conditions. Union Grove offers a full line of circular and bandsaw blades, industrial knives, and much more. Carbide tipped circular saw blades are produced under strict control in Union Grove, North Carolina while all bandsaw blades are manufactured in Europe at the new Metamob state of the art factory. Visit the website at www.sawandknife.com for a complete catalog. In addition. Union Grove offers sharpening services and blade maintenance programs that can keep you cutting more and swapping out blades less frequently. Union Grove services the greater Southeastern USA with direct coverage and technical support. For more information on Metamob or Union Grove, contact Anthony DeHart at 828-217-3739 or anthony@sawandknife.com. Additional details can also be found at www.sawandknife.com or www.metamob.ro. Designed for the toughest sawmill operations, Wood-Mizer has recently unveiled its unique and aggressive Turbo 7 blade profile as part of its Bi-Metal blade product line. With increased air flow and higher tooth penetration while sawing hardwoods, the Turbo 7 degree profile has received positive reports from high production, high horsepower, and high feed rate sawmilling operations throughout the world since its introduction in 2013. Previously only available in a standard 10 degree profile, the Bi-Metal blade product line now offers the Turbo 7 profile for a higher cut quality, faster feed rate, and longer-lasting blade especially when cutting abrasive and exotic wood species. Due to the high-alloy backing material and hardened tooth tip, Bi-Metal blades offer a combination of durability and fatigue resistance, enabling a sharp life that is, according to Wood-Mizer, up to three times longer than carbon blades. Offering more than 60 basic blade profiles, Wood-Mizer makes blades for any type of sawing application from softwoods to hardwoods. The Wood-Mizer Bi-Metal Turbo 7 blade is now available to order in .042 x 1 ¼ and .050 x 1 ½ in a variety of lengths. Call 800/522-5760 or visit www.woodmizer.com/bimetal to order. Pneu-Fast® is one of the few companies that manufactures nails in the United States. It is expanding its outreach to supply more pallet manufacturing and recycling companies with both bulk and collated pallet nails. Pneu-Fast manufactures collated nails and staples for use in name brand pneumatic tools including Bostitch®, DeWalt®, Duo-Fast®, Hitachi®, Makita®, MAX®, Paslode®, Senco® and others. The company, original founded as Chester Brothers Manufacturing, has been in business for more than forty years. It operates a 40,000 square foot manufacturing plant in Evanston, Illinois. Pneu-Fast fasteners are available through authorized distributors and retail outlets and its online store. Pneu-Fast started making bulk nails to supply its pallet division that uses Viking machines to assemble pallets. It knows about the competitive pallet industry and offers both a competitive price and speedy delivery, according to Pneu-Fast. It offers one price shopping regardless of size. Domestic manufacturing provides short lead times that buffer customers from wrapping up capital in nail inventories. For more information, call 847-866-8787 or email www.pneufast.com. Universal Machinery Sales is introducing its Incline end trim saw, a labor saving, high production machine for the pallet industry. Universal Machinery Sales indicates its new Trim-Trac incline style end trim saw will crosscut up to 15,000 boards per eight-hour shift. 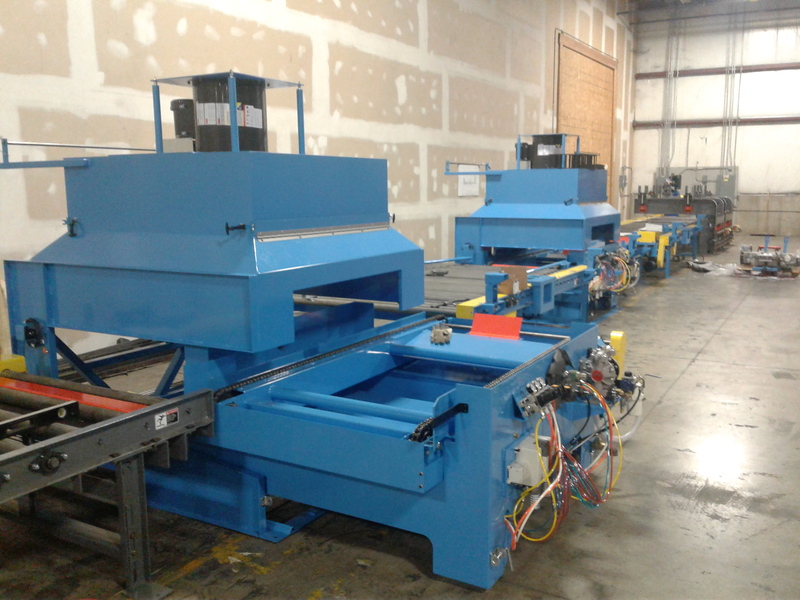 The incline end trim saw uses a three-chain precision infeed with multiple dogs for automatic alignment to use automatic stops to cut board lengths from 16" to 56" on a standard machine. It includes an 18" diameter carbide blade with 30 teeth. Machine options include extra stops and single phase power or Canadian voltage. For additional information about this new trim saw or any of the other Universal Machinery Sales machines, visit the web site at www.universalmachinerysales.net. Contact the company at 855/298-8890, or email sales.universalmachinerysales@gmail.com. Pallet Machinery Group (PMG), which offers a wide variety of new and used equipment for the pallet and lumber industries including a full line of Storti equipment, has added EUROBLOCK composite blocks to its product offerings. PMG now supplies EUROBLOCKS to customers in North America looking for ways to more efficiently produce block pallets. Instead of cutting your own blocks, EUROBLOCKS are manufactured to strict tolerances and consistency, which helps control quality. According to PMG, some of the advantages of EUROBLOCKS include: no splitting, no drying costs – 8% moisture content on delivery, ready to use with no processing needed, no mold or insect damage, high nail retention resistance and long service life. do not require a large space for storage. For more information, call 540-644-9220 or visit www.palletmachinery.com. Gateway Fabricating is a new company to the pallet industry but not new to providing useful business products. It is introducing a new trim saw, the Raptor 300. Gateway’s projects range from access and work platforms to large pipe bridges and entire industrial buildings. Its clients include some of the major industrial firms and contractors in the St. Louis area. Its experience includes bridges, refineries, petrochemical plants, mining facilities, power plants, elevated storage tanks, ground storage tanks and waste/water facilities. Add the pallet industry to Gateway Fabricating’s impressive list of varied customers. It says that its Raptor 3000 trim saw is the next generation of trim saws. It was designed by someone with years of experience in the pallet industry and is constructed in the USA. According to Gateway, the key features of the Raptor 3000 are its precise measurements, speed, safety, and efficiency. See a video of it in operation at www.GatewayFabricating.com. The Raptor 3000, made in the USA, uses circular blades that run at 1700 rpm with five hp saw motors and a two hp motor chain drive. It has adjustable locking arms, adjustable speed chain drive, adjustable heights, and two emergency start/stop buttons. The Raptor 3000 occupies approximately a 7 ft. x 5 ft. space. It will cut to length up to 20 2x4’s per minute and up to 45 boards per minute. It is available in either three phase or single phase. For more information call 314-202-1039 or email info@gatewayfabricating.com. Creating a new legacy from a known name, Jeff and Marsha Libla have recently acquired the assets of Fuzion Fasteners from Hahn Systems. The Libla family is well-known for its involvement in the development and growth of Mid-Continent Nail. The new company, Legacy Fasteners LLC, will produce nails in Poplar Bluff, Missouri. Until recently, Marsha oversaw customer service and inside sales at Mid-Continent while Jeff, general manager, was responsible for all purchasing, production and shipping. The assets of Fuzion include complete nail manufacturing equipment that were previously located in Greensburg, Indiana and have been relocated to Missouri and are already producing nails. The new company will operate under the Legacy Fasteners brand and will keep production in the United States. Mike Sheehan, sales manager, will stay on with the company to oversee sales and customer support. Legacy is currently ramping up production in its new facility and is taking customer orders. The company will specialize in machine quality bulk nails, 15 degree small coil, and 15 degree highload nails. It will also offer a pneumatic tools and service as well. Call the Liblas to see how they can help improve your current fastener program. Call 573-785-0521, email mike@legacyfasteners.com marsha@legacyfasteners.com, jeff@legacyfasteners.com or visit www.legacyfasteners.com. PRS Group Inc. recently launched a new website designed to improve customer experience for any device including smartphones. The website features pictures and videos of all the machines offered by PRS Groups and much more. The new website allows customers to purchase directly off the website. Any item from the used equipment inventory is available online. Customers can purchase other PRS equipment such as repair tables, nail jigs, and pry bars straight off the site. This new feature improves allows customers to purchase these items 24/7 when they need them. Williams added, “Every member of the PRS team takes pride in knowing that the solutions we deliver, and the customer service that we back them with, are the industry's benchmark for quality and reliability.” The redesigned website is just another way that PRS is working to further improve its customer service. An upgraded version of the Nail-Mate automated nailing machine has just been developed by JSB Industrial Solutions, Inc. for Universal Machinery Sales and its customers. The entire Nail-Mate II is designed for quick adjustment between various pallet designs. The machine come with a 3-HP motor for gantry. Other options include a 480 volt, 240 volt 3-phase and 240 volt single-phase units. The basic machine design is set for 3-4 stringers, and it was developed to produce both standard and oversized pallets. The Nail-Mate II features an open design for easy access to stringer and gun adjustment as well as quick adjust guns. It can build standard and winged pallets – standard pallets as large as 72-inch stringers and 60-inch wide deck boards, and winged pallets as large as 72-inch stringers and 50-inch wide deck boards with a 4-inch wing. The design is a smaller footprint size than Universal’s In-Line nailing system. Controls are on an independent stand for accommodating any configuration. An optional stacker can be added later and is PLC-controlled. The basic stacker accommodates standard pallets as small as 40-inches wide and as wide as 60-inches wide. Winged pallets can also be stacked with the same stacker. It also has a sturdy roll out table and variable speed electric drive. Universal Machinery can design stackers for larger footprints. Find out how the right automation can boost production compared to basic hand nailing. For more information, call Mona Tracy of Universal Machinery Sales at 855-298-8890 or visit www.universalmachinerysales.net. 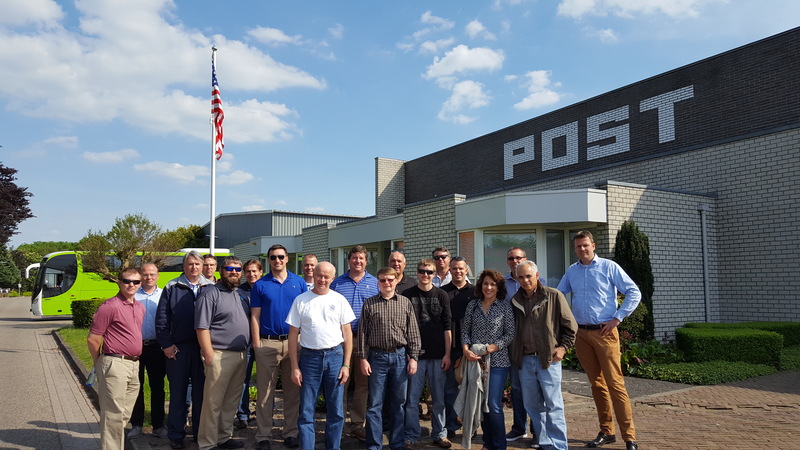 As part of Corali’s 60th anniversary celebration, group executives led U.S. pallet manufacturers on ‘World Class’ customer plant visits throughout the Netherlands in a lead up to the 2017 Hannover, Germany LIGNA convention. The U.S. group, led by Corali-USA, toured from Amsterdam, Netherlands to Hannover, Germany, visiting plants of one of the largest Dutch pallet manufacturers, PKF/Post Pallets. They watched Corali production lines in action detailing their fast changeover and versatility. After the plant tours, the group continued with sight-seeing, and European cuisine on their way to LIGNA 2017, which reported a total of 93,000 visitors from more than 100 countries. For a complete review of LIGNA 2017, read the article in the July issue. Corali-USA wanted to thank participants in the tour including: Timber Creek Resource, Cole Pallet Services, Berry Pallets, Cottondale Wood Products and PKF/Post Pallets. Corali, based in Bergamo, Italy, has been a premier manufacturer of wood pallet, wood box and wood cable drum equipment since 1957. Corali-USA is now bringing these highly flexible, complete production lines to the U.S. and Canadian pallet markets. For more information, call 513-588-3199 or visit www.corali-usa.com. 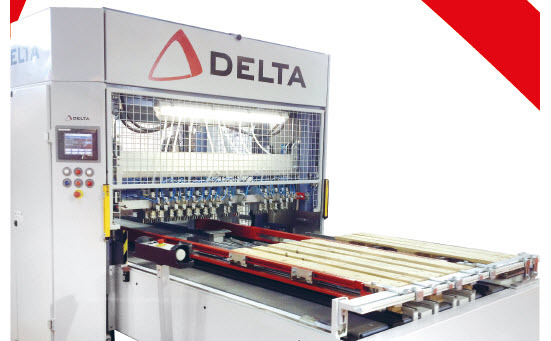 A name synonymous with bandsaws for producing lumber has now entered the pallet repair sector by launching its first pallet dismantler. Wood-Mizer, a global manufacturer of wood processing equipment, recently introduced a pallet dismantling bandsaw to its diverse and growing product line. Wood-Mizer now owns and manufactures the popular Pallet Hawg® pallet dismantling machine that has earned a worldwide reputation for being extremely durable and reliable through a simple and innovative design. Former Pallet Hawg Product Manager, Brad Kirkaldy, has joined Wood-Mizer and brings decades of experience to the company’s pallet recycling division. “Wood-Mizer is dedicated to providing the best-in-class equipment for a variety of timber and wood processing needs throughout the world,” said Brad Kirkaldy. The Wood-Mizer Pallet Hawg PD200 pallet dismantler is designed for a full-range of pallet recycling including pallet prep, repair, dismantle and recovery. Due to the unique combination of high torque and low RPMs, the PD200 pallet dismantler has an expected blade life of 1,000 to 1,500 dismantled pallets per blade which is nearly double the blade life of competitive pallet dismantling saws. Designed for one or two operators, the PD200 features a sturdy welded steel tube frame that firmly supports two pneumatic wheels. The bi-metal blade that cuts the nails to dismantle the pallet is powered by a 10HP electric motor with a gear reduction drive. A pneumatic table lift has preset heights to enable quick and convenient shifting between upper and lower cut points to easily remove stringer boards, blocks, and deck boards of a pallet. Wood-Mizer’s Pallet Hawg features a 10HP electric motor with gear reduction drive (18HP gas engine optional), a 60” width capacity (up to 96” optional) and pneumatic adjustable table height with 5 ¼” travel. It also has a 2,200 fpm or 4,400 fpm blade speed, no-fail mechanical blade tension system, industrial 6-lug wheels with 27” diameter band wheel tires and a removable pass back bar that allows for one or two person operation. The Wood-Mizer Pallet Hawg PD200 pallet dismantler is now available in North and South America, Africa, and Asia. For more information, contact Brad Kirkaldy at 765-228-6775 and bkirkaldy@woodmizer.com or visit online at www.woodmizer.com/pallethawg. What you have been doing in the past when it comes to pallet storage and fire safety may not work in the future. The reason is that new fire code standards have been developed by fire safety experts in cooperation with the National Wooden Pallet & Container Association (NWPCA). Do you know what you might need to update in terms of your pallet storage and fire policy? The NWPCA understands that the best way to get broad industry adoption of the new standards is through education and resources that can facilitate compliance. And the NWPCA is in the process of developing a Fire Code Compliance Manual to address the revised requirements for outdoor pallet storage. The new requirements are part of the 2018 editions of the National Fire Protection Association (NFPA 1) and the International Fire Code (IFC) of the International Code Council that specifically address the wood and composite wood pallet manufacturing and recycling facilities. • Outline of specific steps each facility will need to take to comply with new fire codes and code regulations. • Templates and checklists that facilities can use to assist in drafting required plans and maintaining documentation. • Additionally, the manual will provide the necessary information facilities need to achieve compliance with the revised fire code requirements. The NWPCA Fire Code Compliance Manual is scheduled to be published and released in the fall of 2017. Interested businesses and organizations can sign up to receive updates about the Code Compliance Manual’s release on www.PalletCentral.com/ComplianceManual. Continuing to make machinery and pallet customization better, the National Wooden Pallet & Container Association (NWPCA) and CAPE Machinery, a leading Spanish woodworking machinery manufacturer and developer, have entered into a two-year agreement that will provide a seamless integration of the Pallet Design System™ (PDS) software with CAPE’s world-class pallet production machines. One of the key elements of NWPCA’s strategic mission is the proliferation of the PDS System. “Not only is the PDS System the most effective pallet design system available, it’s world-wide acceptance and use provides a meaningful economic stream to the Association thus enabling NWPCA to itself do more for the industry,” said NWPCA Chair, Shane Thompson. With the licensing agreement, PDS software will be integrated into CAPE’s automated production process for new, refurbished and retrofitted pallet production machines, with international customers purchasing CAPE machinery receiving a one-year license for PDS. “The global footprint of PDS continues to rapidly expand, and this agreement between NWPCA and CAPE further solidifies PDS’ market leadership position as the industry standard for pallet design,” added Brent McClendon, NWPCA president and CEO. For more information on CAPE machinery, visit https://www.prsgroupinc.com/products/cape-equipment/8/products. Headquartered in St. Martin, Minnesota, Rotochopper manufactures industrial wood waste grinding equipment including horizontal grinders, slow speed shredders and mobile baggers. For more information, visit www.rotochopper.com or call 320-548-3586. Known for its friendly atmosphere and good time, the Western Pallet Association (WPA) annual meeting also has a full slate of informative speakers. Scheduled for January 13-15th 2018 in sunny Rancho Mirage, California, the event has developed a reputation for its festive golf tournaments. But it is so much more than just a good way to network and relax during the cold winter months. The theme for this year’s meeting is “Get the Edge” and the topics covered include emerging opportunities in new business sectors, production improvements, key trends in the pallet industry, legislation that will affect your business and details on new fire codes for outdoor pallet storage. Even for those who are in the East or the Midwest, it can be a good way to meet new people and develop an understanding of the pallet market in the West. The early bird registration deadline is November 15th, 2017. You can register online at www.westernpallet.org or by calling 360-335-0208. The host hotel is Rancho Las Palmas resort. Rooms can be reserved online at www.rancholaspalmas.com or by calling 760-568-2727. Use the group code: 011118WESTERNPA. Do yourself a favor and break up the winter months by attending this industry meeting. Don’t miss the discount. Register today at www.westernpallet.org or by calling 360-335-0208. Viper Industrial Products, which supplies pneumatic nailing tools, nailing machines and fasteners for the pallet industry, has developed a new machine designed to automatically nail pallets built with recycled lumber. The new machine also can nail remanufactured and ‘combo’ pallets -- pallets built with a combination of new lumber and recycled pallet components. The machine, operated by one worker, is equipped with four pneumatic nailing tools and a unique hold-down system featuring round rails and washers. The pallet is turned over manually to nail the top face, and the finished pallet is ejected automatically into a stacker. The machine also features an automated system for driving nails that recognizes the width of the deck board and eliminates the need for pins that hold boards in place and signal when to drive a fastener. The new Viper machine can nail pallets ranging from 24x24 to 60x60. It has a quick changeover because of the unique board hold-down system and firing system. Pallet assembly machines generally are not fast and consistent when it comes to nailing recycled material, noted Viper president Todd Mazur. The benefits of this new prototype machine are that it is capable of nailing pallets built with recycled lumber efficiently and productively. It can produce about one pallet per minute, or about 400 in an 8-hour shift, according to Mazur. That compares favorably to an average of 200 pallets per day that a worker may be able to produce by hand with a pneumatic nailing tool. So, the machine can double production with a consistent nail pattern, and it also makes the work easier for an employee by reducing fatigue. Mazur described the machine as a “game changer” for the industry. Arkansas-based Viper sourced the first new machine at the request of a long-term customer, Shipping Resources Inc. in Garfield, Arkansas, which helped develop and refine the prototype, and since then Viper has sold two more units. “It’s something we’ve been working on for a couple of years,” said Mazur, in response to industry demand. “For every three calls we get, one asks if it will build pallets made of recycled lumber,” he said. “We’ve had so much interest in a machine that will nail recycled material,” said Mazur, because of an increase in pallet recycling and ‘combo’ pallets in recent years. For more information, call Viper Industrial Products at (501) 679-6814 or visit www.makepalletsgreatagain.com. Two leaders in the saw and cutting sector have announced a merger. The combination of Simonds International and Burton Saw will create the leading producer and marketer of cutting tools and related equipment for the primary wood fiber industry. This new entity, Wood Fiber Holdings, Inc., will operate in the United States and Canada with 12 facilities located in the major wood fiber regions of North America. All products and customers segments currently served by Burton, Simonds and B.G.R. Saws will continue uninterrupted during the integration process and thereafter. Simonds International, founded in 1832, is a leading supplier and marketer of cutting tools and related products to the wood, pulp, paper and tree care industries. B.G.R. Saws was established in 1968, through almost 50 years of history the company developed into a sawmill source for their saw needs as well as innovative line of filing room equipment. Simonds and B.G.R. merged in May of 2017. Burton Saw and Supply, founded in Vancouver, BC in 1903, originally sold only saw manufacturer supplies to the mills of Western Canada. In 1927, The Burton Saw Company moved to Eugene, Oregon and transformed itself into the leading provider of products, equipment and technical solutions to the saw filing and knife grinding rooms. For more information, call (800) 343-1616 or visit www.simondsint.com. Viking Engineering has been a major supplier of pallet nailing machinery since the 1970s. On December 14th, Viking Engineering and Development sold to Spell Capital, a private equity group based in the Twin Cities of Minneapolis and St. Paul. Today’s management team, under the leadership of current president Kurt Larsen, will remain in place. Viking will continue to focus on product innovation, customer service and providing the best ROI for its customers, said Larsen. Viking has held a strong leadership role in the pallet sector since its inception and will continue to do so under new ownership. Viking Engineering and Development started as a pallet manufacturing company, Viking Pallet, in Minnesota. It has served as a training ground to test improvements and developments in Viking’s nailing systems. Viking is known as a world leader in pallet nailing systems, particularly for manufacturing stringer pallets. According to Viking, the new ownership group is committed to making the company even more successful and keeping jobs in the Twin Cities area. For more information on Viking or its products, visit www.vikingeng.com. 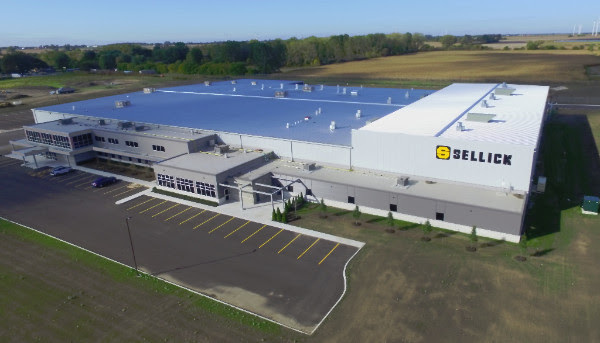 A major supplier of forklift and lift trucks to lumber yards and forest product companies in North America, Sellick Equipment Limited recently cut the ribbon on an all-new $21 million dollar manufacturing facility. Equipped with state-of-the-art technology, the facility is designed to boost production and do more without requiring additional workers. Management hopes the new facility will help maintain Sellick as a leader in the rough terrain forklift market. The new 126,000 square foot purpose-built factory in Ontario, Canada was designed for new product innovation, improved quality control and better flexibility in product design. To ensure higher quality standards, all areas of the manufacturing process were upgraded including a new machining center consisting of CNC controlled laser cutting, milling, and turning machines, automated storage and retrieval systems for raw materials and aftermarket parts and state of the art metal preparation and paint line was implemented to enhance product longevity. Sellick Equipment Limited is a proud subsidiary of Avis Industrial Corporation of Upland, Indiana. In recent years a new generation of forklifts was introduced featuring enhanced ergonomics, environment friendly diesel engines, increased lift capacities, and a broad range of models. Currently, there are over 11,000 Sellick built machines in the field which are serviced by an extensive North American dealer network consisting of 230 locations. For more information log on to www.sellickequipment.com or contact Dell White, sales and marketing manager at 877-735-5425. Canadian Wood Pallet and Container Association (CWPCA) recently announced that Brian Isard retired at the end of March 2018 after serving as general manager since 2013. A former executive with CHEP Canada, Brian Isard offered stable leadership for the organization. 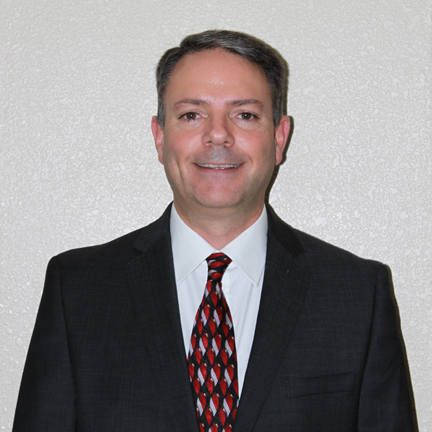 The CWPCA’s board has appointed Scott Geffros to be the next general manager. He previously worked for the association as its assistant general manager and was very involved with the daily operations of the organization. Geffros will also be assuming responsibilities as the program manager for the Canadian Heat Treated Wood Products Certification Program (HT Program), which serves some 453 registered facilities manufacturing ISPM-15 certified wood packaging across Canada. Congrats to Brian Isard on his retirement and kudos for his service to the pallet industry. Continuing to grow and expand through acquisition, Wood-Mizer recently bought Swedish company, MOReTENs AB, placing a full range of popular 4-sided planer/moulders, table saws, spindle moulders, and CNC routers into Wood-Mizer’s globally available product range. Founded in 1980, MOReTENs designs and manufactures a popular range of woodworking machinery which includes 4-sided planer/moulder combination models, spindle moulders, and a workshop table saw. In addition, MOReTENs also supplies high-end, CNC-controlled routers and log home building machinery. The founder and owner of MOReTENs, Bo Mårtensson, has joined Wood-Mizer as the general director of the factory in Ostersund, Sweden. The factory in Sweden marks Wood-Mizer’s fifth manufacturing plant throughout the world including three facilities in the United States and one in Poland. Wood-Mizer now offers the MOReTENs planers/moulders through its distribution network. The latest acquisition of MOReTENs builds on Wood-Mizer's position as a worldwide manufacturer and supplier of narrow band sawmills, now offering a full range of equipment that can seamlessly convert logs into dried lumber and finally into finished wood products - all backed by Wood-Mizer's expertise and commitment to excellent customer service. Visit www.woodmizer.com/moulders for more information on Wood-Mizer’s new line of woodworking machinery. Keeping track of employees can be a difficult task, but the Pallet Track ® software works well to keep records on time and attendance as well as production and other data related to employee compensation. The software and hardware used to make the program work is offered by Innovative Data Systems of New York. “Our approach allows pallet and lumber companies to take back their process and employment data from cumbersome and expensive ERP systems. We don’t charge monthly fees or seat licenses,” explained, Alan Miceli, president of Innovative Data Systems, which specializes in software systems for pallet and lumber companies. The tablet tracking version of the software takes a picture each time someone punches in or out. Pictures are stored for easy retrieval to verify each employee. This verification process helps eliminate buddy punching by easily validating the identity of workers as they clock in or out. The software also automatically calculates hours, which can save time and money when it comes to payroll. The touch-screen interface is easy to use for workers who may not be technologically savvy. Pallet Track can also be used with a hand punch system that uses handprint recognition to eliminate buddy punching. This system can easily identify workers who are late, left early or worked overtime. You can import hours data directly into ADP and Creative Solutions Payroll System. For more information on Pallet Track, visit http://www.pallettrack.com or call 631-244-0069. The National Wooden Pallet and Container Association (NWPCA) has released an updated version of the Pallet Design System™, PDS v.5.4©, that generates pallet specifications and analysis results in the following languages: English, Dutch, French, German, Italian, Portuguese, Spanish and Swedish. 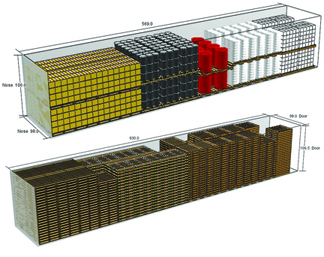 PDS allows users to design the optimum pallet by scientifically determining the safe load carrying capacity, performance and material quantity needed. With the release of PDS v.5.4©, Users have the option to enter the design details, and view or print, in any of the languages. For more information on PDS, visit www.palletdesignsystem.com. 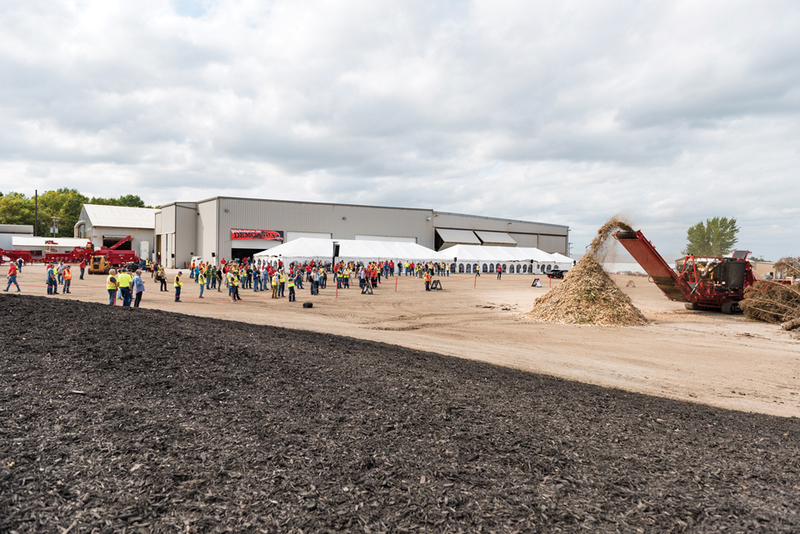 Rotochopper recently hosted customers and prospects from around the world at their 8th annual Demo Day. Approximately 200 guests from four countries attended the event with the theme “Mission Possible." Mini sessions throughout the afternoon demonstrated a variety of use cases and applications of Rotochopper equipment. Included in the demos was the MP-2, producing colored mulch, the CP-118 chip processor, Erosion Sock attachment for the GB-250, RotoLink monitoring system and preventative maintenance program, Rotochopper’s patented screen installation system and replaceable mount rotor. The EC-266 electric grinder ground pallets and sorted C&D debris directly into the RMT hammermill showcasing Rotochopper’s knowledge in multi-stage fine grinding systems. The day ended with the B-66 L-series grinder, devouring logs and whole trees, demonstrating its enhanced features designed to improve input capabilities and increase overall production. It was a full day of demonstrations, information, networking and fun. Rotochopper’s Demo Day event continues to impress attendees with a behind the scenes glimpse of the facility, equipment and most importantly their dedicated employees. The biggest nail producer in the United States, Mid-Continent Steel & Wire, has announced the retirement of Kirk Henningsen, the company’s national sales manager. He will retire in the first quarter of 2019, and he has been a driving force behind Mid-Continent’s growth and plant development. Through the years, Mid-Continent’s Poplar Bluff, Missouri nail manufacturing facility has become the largest nail mill in North America. Looking to continue its place of leadership in the pallet industry, Skarich has worked with Henningsen to ensure a seamless transition. He added that Henningsen is being replaced by two separate national sales managers. Each will have a different focus. Bruce Kennedy, who has become well known to the pallet sector, will be responsible for industrial sales. And Jason Kennedy will manage the distribution channel. For an interim period, Henningsen will stay on as a consultant for a few months. Please join us in wishing Kirk Henningsen all the best in his retirement. You can reach Kirk at kirk@mcswusa.com. For more information on Mid-Continent and Magnum nails, please visit www.magnumfasteners.com. Maximizing throughput and plant space remains a key concern for pallet and lumber facilities across North America. With this focus in mind, Wood-Mizer has introduced its compact HR150 and HR 250 horizontal band resaws. These saws are designed to easily integrate into pallet and lumber operations without taking up valuable production space. 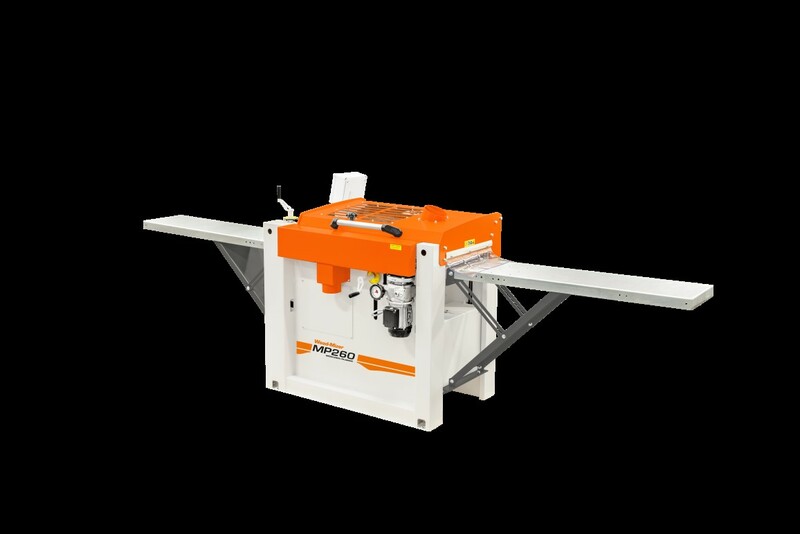 The HR150 and HR250 join the Wood-Mizer range of single and multi-head band resaws that capitalize on thin-kerf blade technology to produce accurate lumber while reducing material, labor, energy and maintenance costs. Control panel setworks with digital blade position controls in both imperial and metric ensure accurate height positioning of the blade when setting cut thickness. Each blade has its own setworks panel and is controlled and run independently. Pneumatic hold down rollers and an idle top roller keep material secure as it moves through the machine. Blade speed is variable to accommodate various cutting requirements and the variable feed speed is controlled by an electric motor for efficiency. Blade tension is automatic and controlled by an air-over-oil hydraulic system in order to maintain proper tensioning for longer blade life. Timber Products Inspection, Inc. (TP) has agreed to Stafford Inspection & Consulting Services, LLC. (Stafford) which is currently headquartered in Orlando, Florida. Both TP and Stafford have been providing professional inspection and certification services for over 50 years and are well recognized in the wood products and pallet industries. This acquisition aligns with TP’s objective to strengthen its position in the lumber, export wood packaging, truss and log home markets which are their core businesses. Stafford will operate as a subsidiary of WRD, TP’s parent company, and be headquartered out of Conyers, Georgia. For more information on TP services, contact 770-785-4785 or visit www.tpinspection.com. There’s the old way to paint pallets, and then the right way to do it. The old way is by hand in a paint booth. But the right way according to Martin VanDenack, president of Industrial Resources, is a new In-Line Paint System. Industrial Resources has developed a paint system that is completely accessible for maintenance. If you are painting pallets the old way, you should consider checking out the new Industrial Resources In-Line Paint System, call 616-791-7500 or visit https://www.iresources.us/.